Click here to get your 10 free IDX marketing ideas! 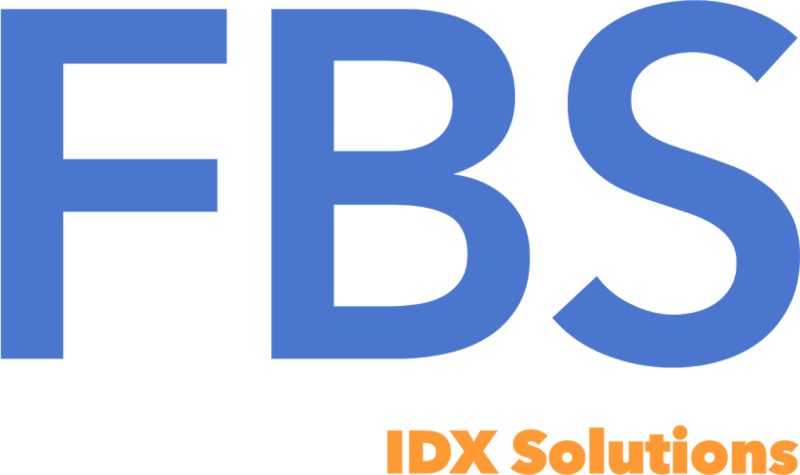 FBS IDX Subscribers have Live Data - do you? If your website’s home search is powered by an FBS IDX product then your home search results are Live and updated instantly. What does “LIVE Data” really mean? When a listing is updated in FlexMLS the change shows up instantly in all IDX products powered by FBS, and therefore on any website that has an FBS IDX product installed. That’s pretty powerful stuff. That means that the moment a new listing is entered or the status of that listing is changed to pended or sold, that change goes out live to every website of an FBS IDX subscriber. When a client comes searching on your site for the latest homes to be listed, you got ‘em. When a prospect is looking to have you show them a home, you can be confident that the status you showed on your website is accurate at that second. No “Oh, that homes has been pending for a couple of days now” or “Yeah, that one’s already off the market.” Nobody likes being the bearer of that news and, ultimately, as an agent who is supposed to have access to professional-level industry tools, your clients are expecting you to have information that is more updated than the average consumer website. It all comes down to your credibility. And we know that’s so important to winning someone’s business for the first time, as well as securing a lifetime of ongoing referrals. Aren’t all IDX products fed with LIVE data? Unfortunately not. There is a significant difference between what some sites and other IDX technology providers refer to as “Real Time” and what FBS has, which is “LIVE”. The updates that those sites show can be done at different intervals and those intervals can be anything from every 24 hours to once a week. If you don’t know what the update policies are for the vendor who supplies your current IDX solution, it’s probably time to ask. Why does LIVE data matter? Well, we talked about credibility. Can’t argue that this is important. In most cases, a consumer will access 5 to 7 different sites before they find yours or make contact with you. Demonstrating that the data on your FBS IDX supported web site is accurate and up-to-the-second establishes credibility before someone even gets in touch with you, and sets you apart from your competition, prompting the call or email. Why go elsewhere? Bottom line: When you make a commitment to invest in the best tools, you want to leverage them everywhere and anywhere you can. Um… but I don’t have FBS IDX LIVE data! Don’t panic! We have a team of folks who can help with that. Jake, Sid and Steve, our IDX specialists, can help you analyze your site, determine what solutions are best for you, and help you create a plan to transition to LIVE data a.s.a.p. You can reach them right now at 1-866-320-9977 or click here to shoot us an email or use the form below to request a free consultation. We’ll get back to you in a jiffy. Not sure you’re ready for a switch right now but want to stay up-to-date on our product enhancements and promotions? Easy-peasy. Join our mailing list and we’ll stay in touch until you’re ready.